Shaping new interactions between distressed partners can feel like playing a violin in the middle of a war zone. If you're going to help your couple clients heal, you have to know what to do when these new interactions start to go wrong. Fortunately, Emotionally Focused Therapy (EFT) provides us with a clear map to help partners have conversations that redefine a distressed relationship and ensure we're shaping a more secure bond — the kind of bond we all long for and need. 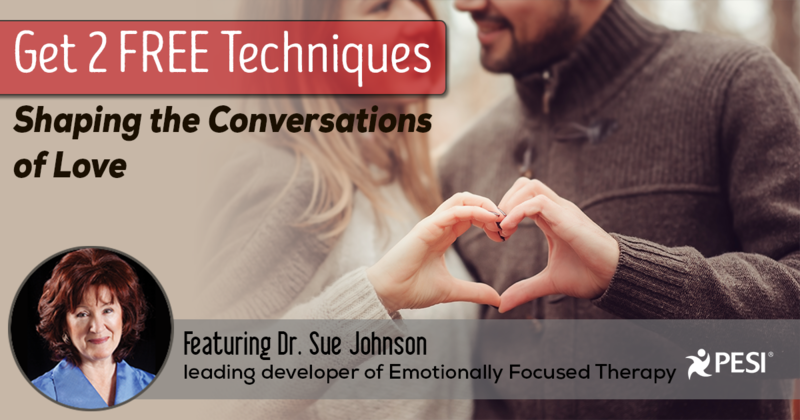 In this free, short video, I'll show you two simple EFT techniques that you can immediately use with your clients to make sure that shaping these new, loving conversations goes smoothly. PS — My exclusive, new online Certificate Course in Emotionally Focused Therapy shows you how to make safe and loving connections available to the couples in your care. The special enrollment period just opened (and is very limited).